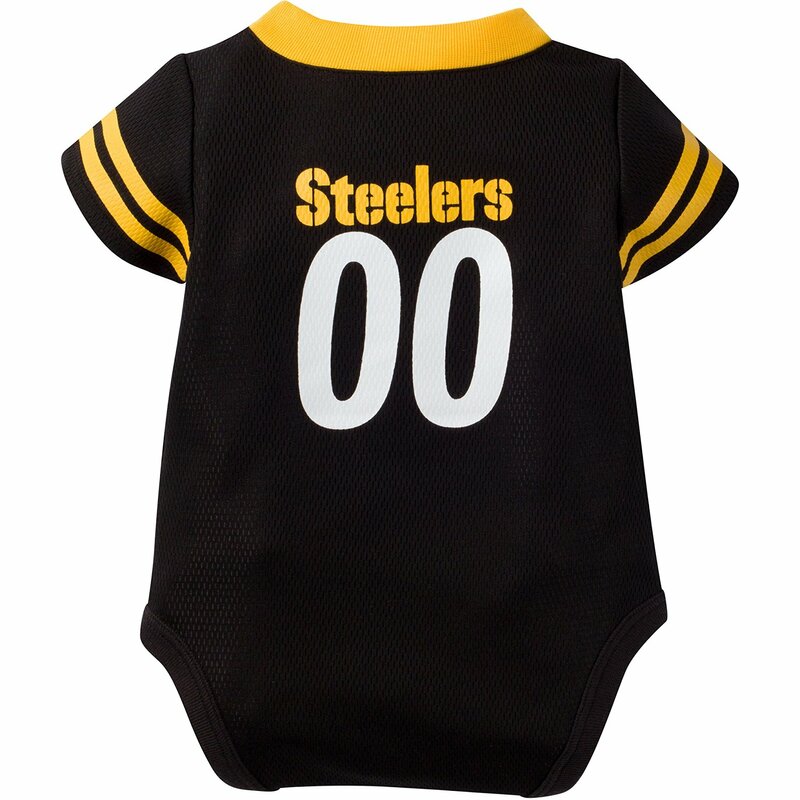 Official NFL Licensed Steelers Baby Player Jersey Onesie has silky waffle jersey fabric with snap crotch. 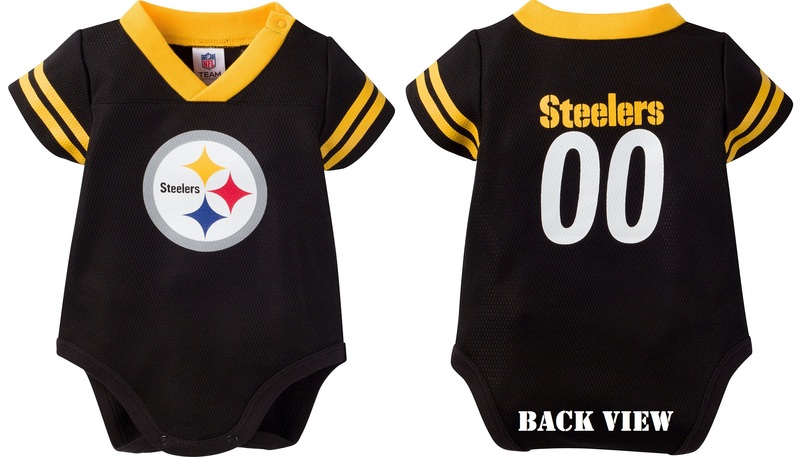 Makes a great gift for new dads & fans or shower gift. 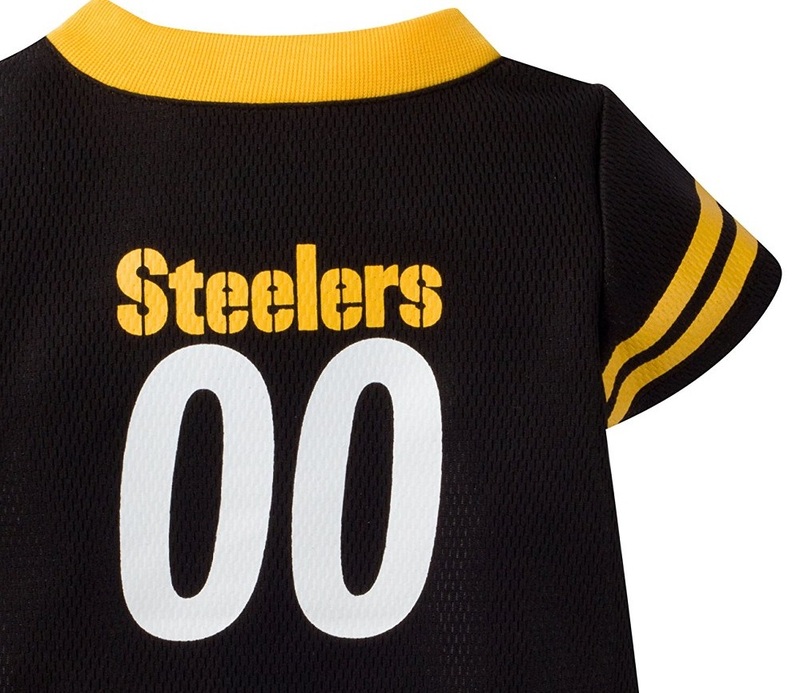 Screen print Steelers logo and 00 on the back. 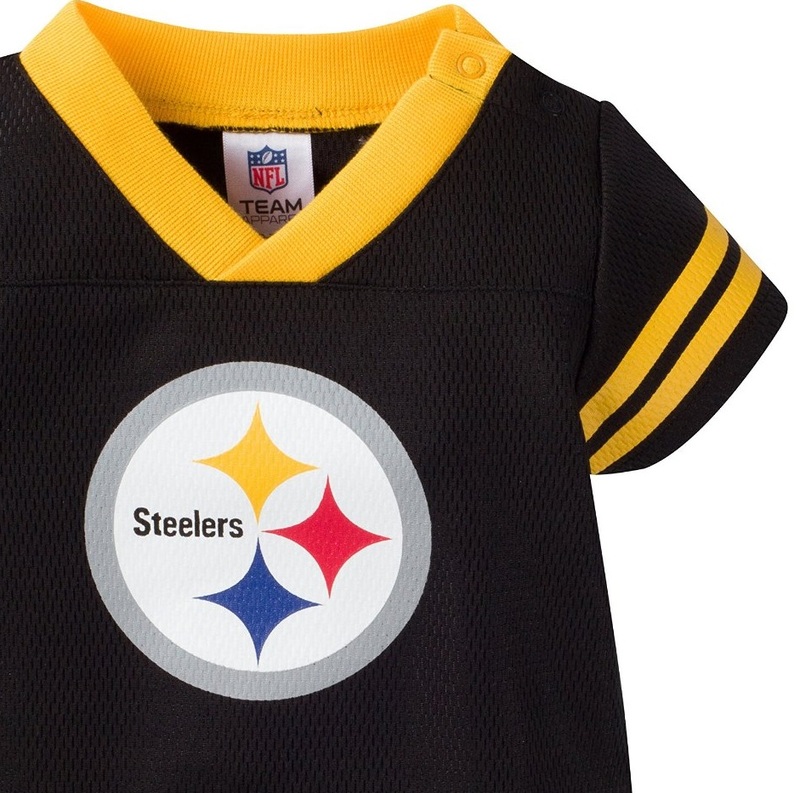 3-6 months Only. 0-3 mos 8-13.5 lbs. 21-24.5 in. 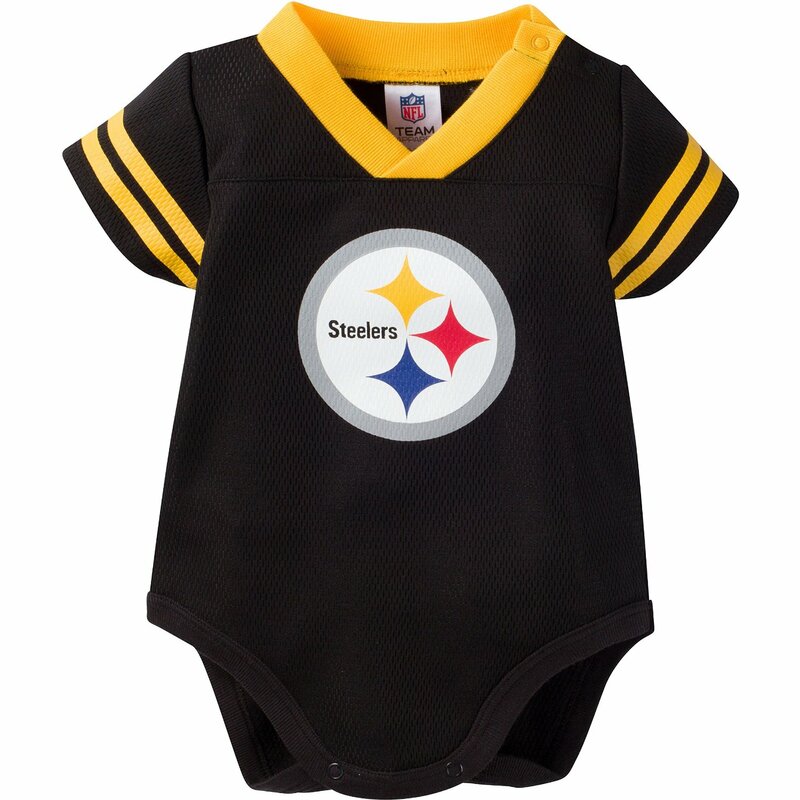 3-6 mos 13.5-17 lbs 24.5-26.5 in.